Happy Friday! Another week has come and gone, and this one was a little rough in the Real Food House. I got sick and my husband is working super long shifts. Pretty sure local toddler will climb the walls today if we don’t get out of our house! Because I got sick, I didn’t make it to any markets during the week. Thankfully I have a veggie buying addiction, so the fridge is full. 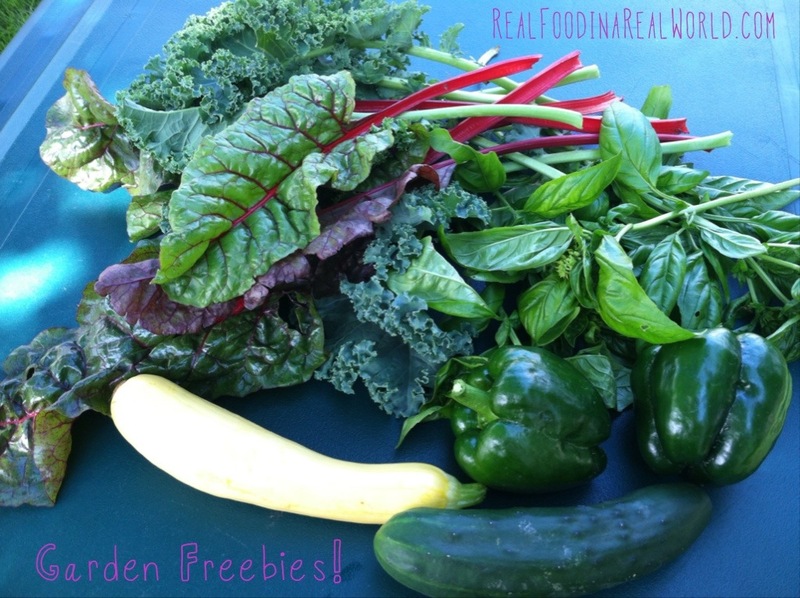 Last Friday we had the great fortune to be able to harvest from the huge garden where my son attends playgroup. Lots of beautiful chard and kale. We also picked a few green peppers, a summer squash and a cucumber. 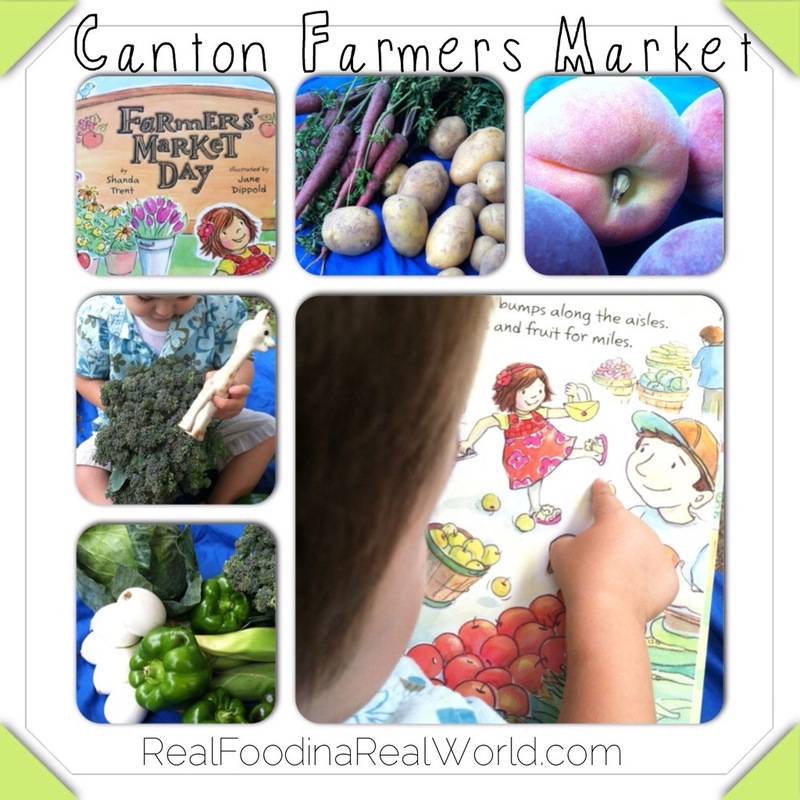 Canton Farmers Market was fantastic last week. The author of “Farmers’ Market Day”, Shanda Trent, was selling her book and also reading and signing. We bought one and local toddler is obsessed with it. He talks about the farmers markets all the time, so it’s great to have a book about one of his passions. The illustrations are beautiful! I thought the price point was good too, it’s a very large hardcover for $13. Along with the book, we picked up peaches from Kapnick’s ($5), carrots and potatoes from Hand Sown Farm ($7) and from Prochaska Farm we bought cabbage, a watermelon, onions, bell peppers, corn and a broccoli approximately the size of local toddler. I think I spent $13 there. From Pure Pastures I picked up some chicken and some sausage for $15. 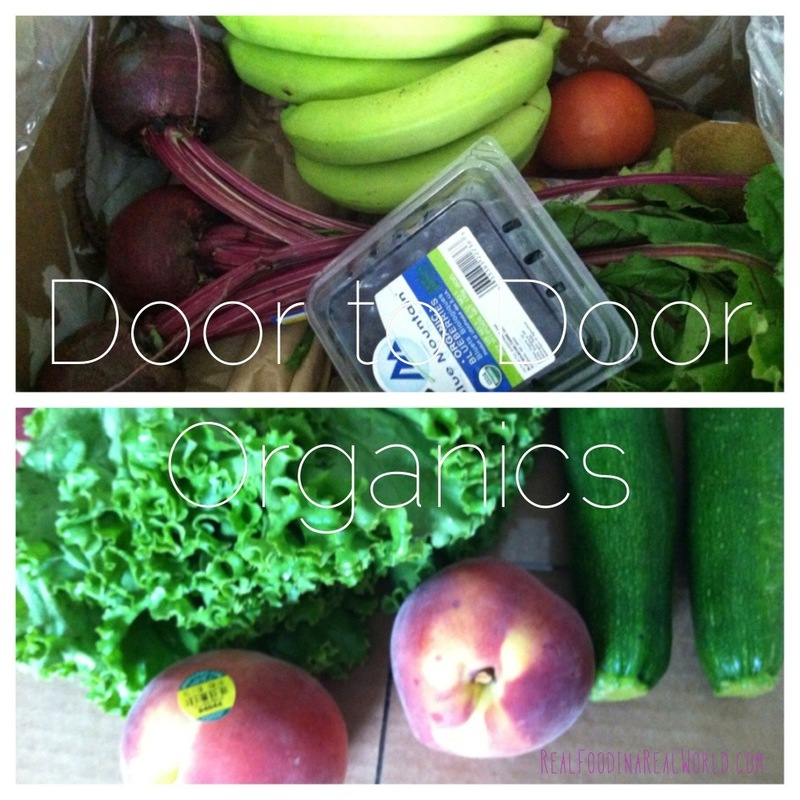 Wednesday was Door to Door Organics day and we got a bitty box. My goal is to eat the beets instead of juicing them. I’d love some beet recipes! The box looks a little sparse because we needed a lot of bananas. Just a few cookies and milk items! Some Calder Dairy milk, Ann Arbor Tortilla Factory chips, Zingermans brownies and Avalon cookies. 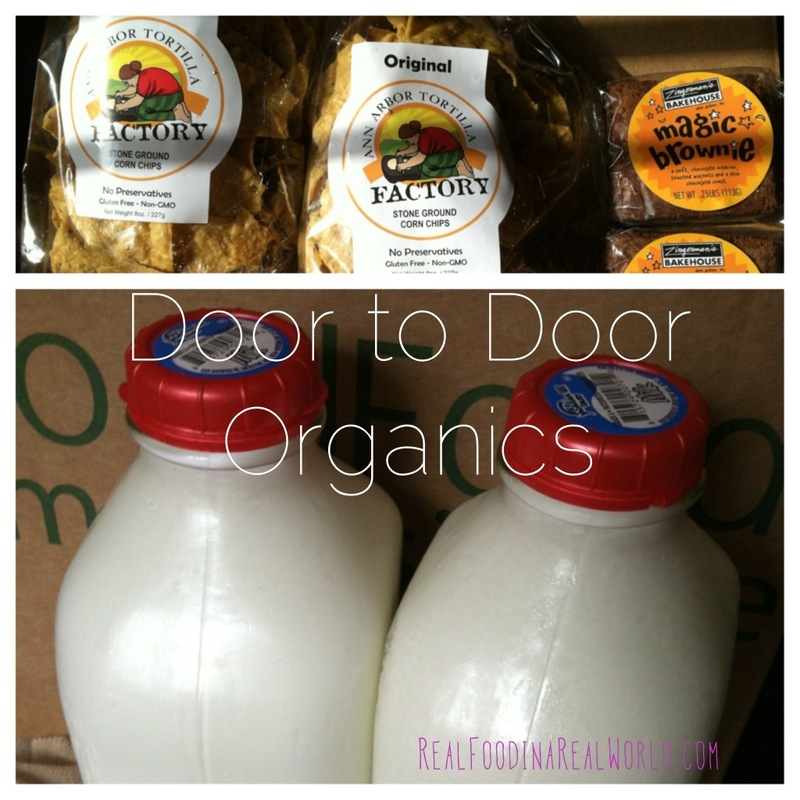 Total from Door to Door must have been around $50. The Internet hates me today so I can’t check. That is also why there are no links in this post, I’m doing it from my phone and they won’t cooperate. So the total for food this week was about $100. What did you buy this week?